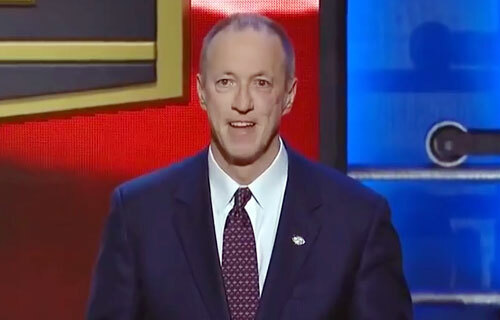 Jim Kelly is a former quarterback, successful entrepreneur and cancer survivor who played his entire NFL career for the Buffalo Bills. Kelly was the third quarterback taken in the 1983 NFL Draft which featured six quarterbacks taken in the first round where John Elway was first pick. Kelly led one of the great NFL scoring juggernauts in the Buffalo Bills employing the K-Gun offense (also known as the red gun offense. He also led the Bills to four consecutive Super Bowls from 1991 to 1994, although he was not able to secure a win. He was inducted into the Pro Football Hall of Fame in 2002 in his first year of eligibility. On June 3, 2013, Kelly announced that he has been diagnosed with squamous cell carcinoma, a form of cancer, in his upper jaw. PFP Sports & Celebrity Talent Agency is a top booking agent for motivational sports speakers and celebrities. If you would like to book NFL stars like Jim Kelly for a speaking engagement, personal appearance or special event, you can request Jim Kelly agent and speaker information from PFP Sports & Celebrity Talent or call 800.966.1380.